Dental Fix RX will be gathering donations throughout October in support of Breast Cancer Awareness month. Breast cancer has personally affected several of us at Dental Fix, and we’re honored to launch this program to help find a cure. In observance of Breast Cancer Awareness month, Dental Fix RX, a mobile dental equipment repair company, will be collecting donations throughout the month of October to benefit breast cancer research. The fundraising program encourages franchise owner/operators across North America to give back and support charities by gathering contributions from dental customers and through personal donations. A percentage of the total earned will also be matched by Dental Fix’s corporate office in Florida. 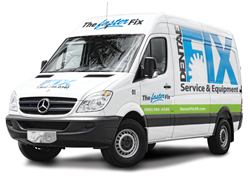 Founded in 2009, Dental Fix RX is North America’s only on-site dental equipment repair franchise. Combining centralized technological and account management services with a unique national network of locally owned and operated industry professionals, the company provides its owners with “state of the art” mobile repair centers to deliver timely and personalized services for all equipment repairs and needs. Franchise opportunities are available nationwide with an exclusive, money-back guarantee for business growth and development. For more information, call 800-586-0340 or visit http://www.dentalfixrx.com.